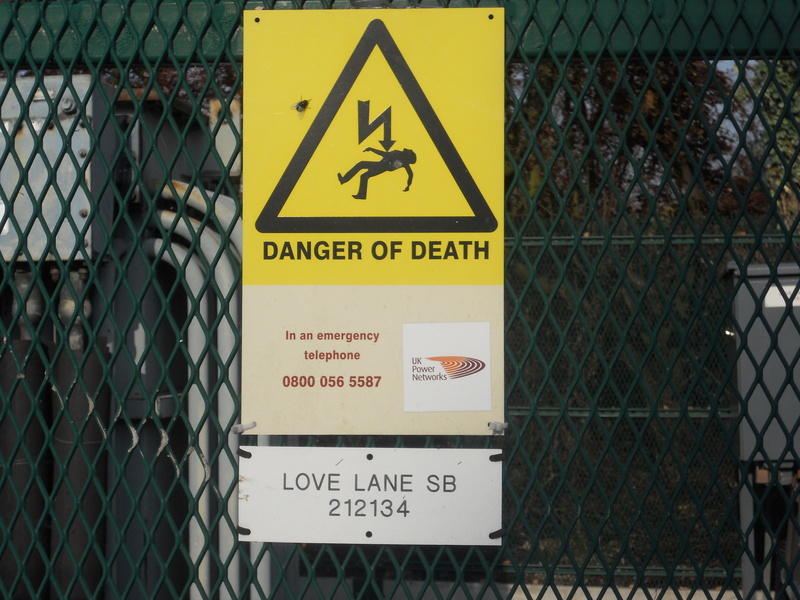 LONDON’S MOST DANGEROUS WALK – ‘DANGER OF DEATH’ – COMING SOON! 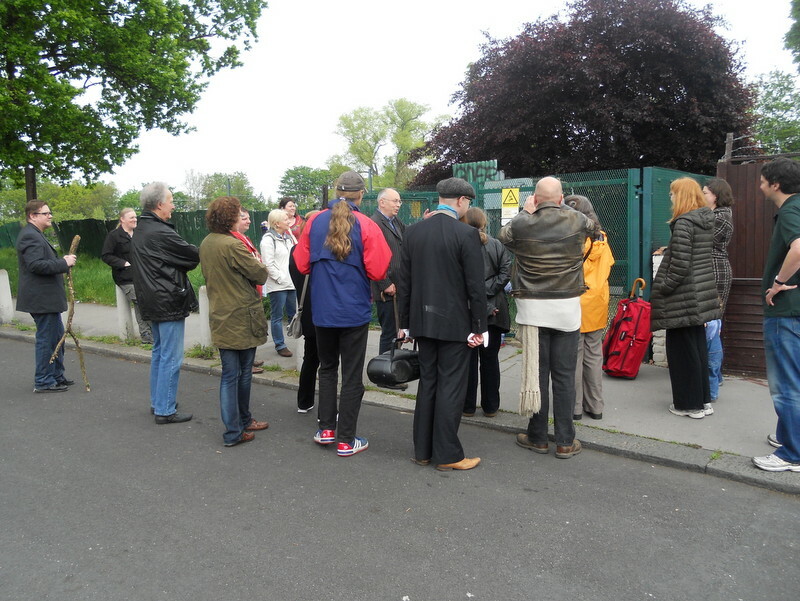 Our next walk will be unique – we will be visiting over 20 ‘DANGER OF DEATH’ sites in South Norwood. Most will be electricity sub-stations but others will be gas and sewage works. We will then produce a map linking the danger sites like ley lines to see if any mysterious forces are at work. We need your help to identify all these sites – they all have the yellow ‘danger of death signs’ on them with a lightning strike – so if you know of any let us know in the comments section. Below we see walkers on our Love Lane walk looking at the danger of death sign in Love Lane. We will have a date soon for what is set to be one of London’s most talked about perambulations…..starting at Brickfields Meadow and finishing…..who knows!